Description: A small winter canyon with show hogs and twin bases. Anyone who knows about Sneak.beta should know that the map was never completed; it has always stayed in its beta stage. A year later, I've finally decided to finish the map. 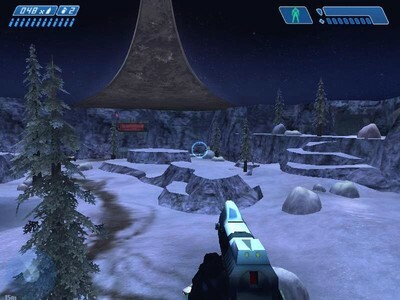 This map has stayed true to its original layout, but has received a major revamp in its vehicles, textures, UVWs, weather particle effects, and scenery. I'm loving the new look, and I hope you will too. Sneak.beta has a lot of history (those who can recall it are awesome in my book), and I'm proud to end its legacy with the final version of the map. and everyone else I know from GBX! You know who you are.